One of the hottest tickets in town this year was the Spring Fling hosted by the Center’s young patrons group, the Green Room Society. On April 30, 2011, an energetic event inspired by the theatrical sensation The Sparrow gave donors a flashback to adolescence at Small Town USA’s Spring Farm dance. Guests enjoyed BOMBAY SAPPHIRRE™ cocktails and Heineken while dancing the night away under shiny disco lights in a prom setting at in the Peacock Foundation Studio. As a nonprofit, mission-based organization, community involvement is at the heart of the Adrienne Arsht Center’s institutional character. You don’t have to look far to find Center staff members who are engaged with other organizations throughout South Florida. 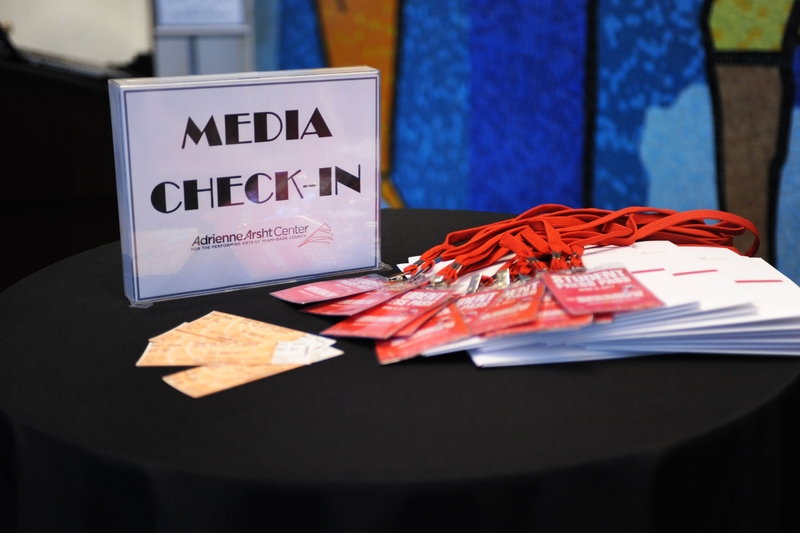 Just recently, Adrienne Arsht Center President and CEO John Richard has been elected to the board of directors for one of South Florida’s largest healthcare organizations: Miami Jewish Health Systems (MJHS). Founded as a nursing home in 1940, MJHS today stands as one of one of the most innovative, full-service healthcare providers in the southeast U.S., with a team of nearly 1,000 employees serving 3,700 people daily on the organization’s Miami campus and at facilities across South Florida. 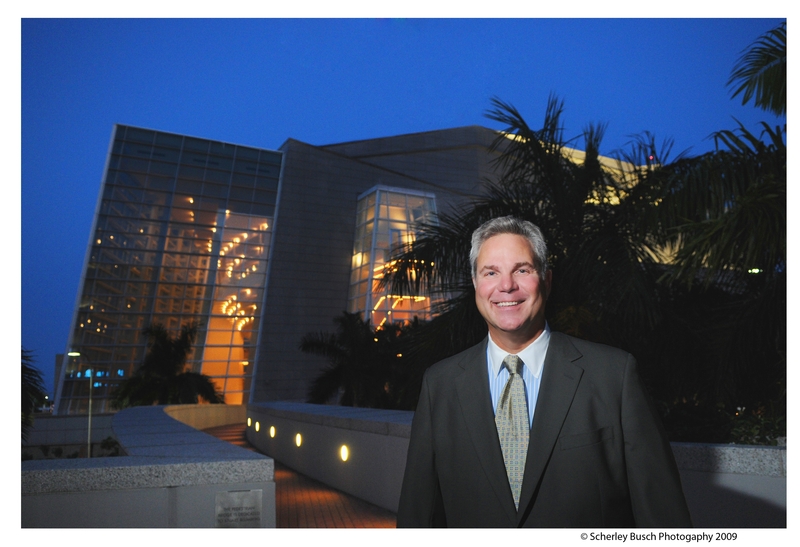 Other examples of involvement among the Center’s senior leadership include Executive Vice President Scott Shiller’s role in South Florida’s arts community. Scott serves as Vice Chairman of both the Carbonell Awards and the Rosie Herrera Committee, and as a member of the Broadway League. VP of Human Relations Trish Brennan is on the board of directors for ArtSouth, a nonprofit arts organization in Homestead, Florida. VP of Advancement Suzanna Valdez is involved with Miami Science Museum and the Community Partnership for the Homeless. VP of Marketing Andrew Goldberg serves on the Foundation Board for the New World School of the Arts and as a member of the Greater Miami Chamber of Commerce Creative Industries Committee. Associate VP of Public Relations Suzette Espinosa Fuentes is involved with Arts for Learning and Public Relations Society of America. spectacular display of acrobatic stunts. For more information about this event and Cirque Eloize iD, click here. Reflecting on the incredible season thus far of Family Fest activities and performances, the Adrienne Arsht Center Education and Outreach Manager Jairo Ontiveros can’t help but smile. So far more than 4,000 people have taken part in Family Fest fun this year—with a total of 23,673 kids and adults since the series began in 2008. The season concludes on Saturday, May 14 with “Creole for Kidz & The History of Zydeco,” a Big Easy-style party, spotlighting American Roots music from Louisiana and Mardis Gras-flavored fun for the whole family! 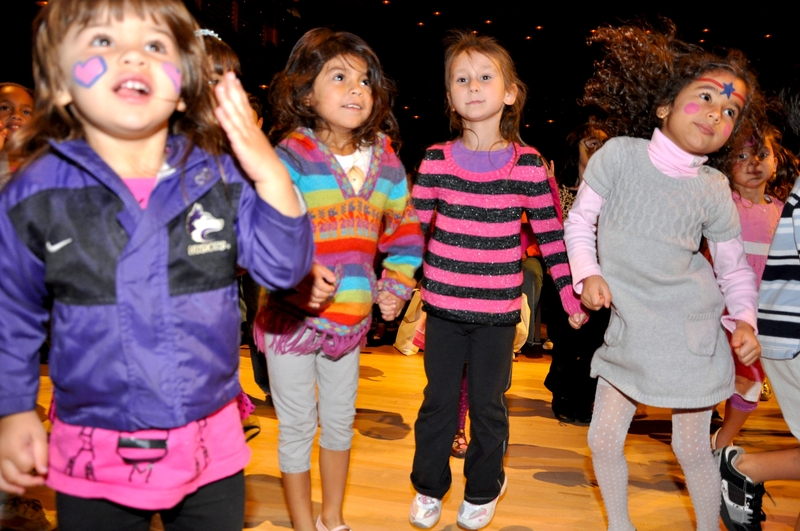 The fun begins at 11:30 AM in the Thomson Plaza for the Arts and moves indoors to the Knight Concert Hall at 2 PM. This season has been a diverse spectacle of music and dance. At the Milkshake concert in November, kids were so inspired by the Grammy nominated band that they rocked out in a mosh pit with the ‘electric’ guitars they had just crafted themselves. In January, the Knight Concert Hall was filled to capacity for a performance by Balé Folclórico da Bahia, whose capoeira, samba and carnival style moves and music captivated families. Youngsters then took a musical trip around the world with the global rhythms of the Miami Music Project in March. These are just a few highlights from this year’s free Family Fest series, which always feature family-friendly out-of-doors activities and performances that provide engaging opportunities for parents to share arts activities with their children. I am very thrilled to be part of The Sparrow’s Ghost Class. I had so much fun promoting the play. I wore The Sparrow shirt in public, posted flyers around Miami, passed out flyers at the Carnival on the Mile, and posted about the play on Facebook and Twitter. 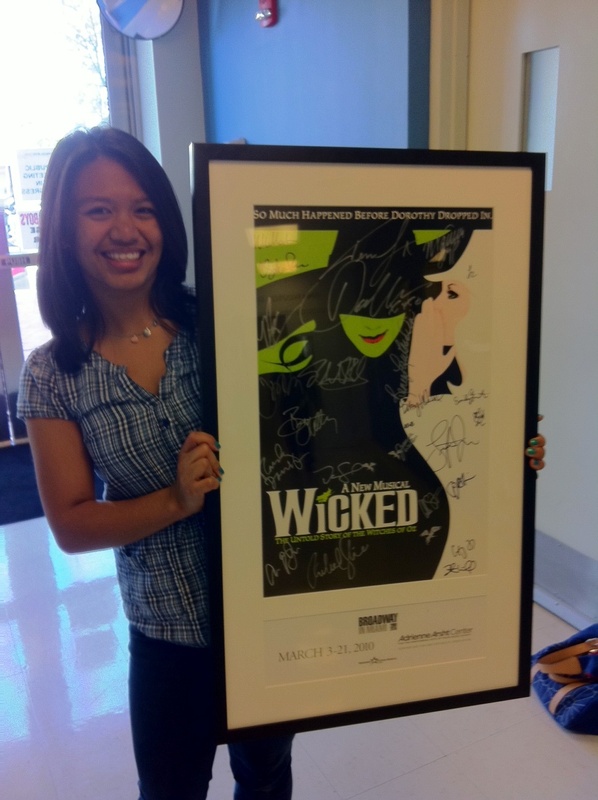 I received some pretty cool things in return, like a signed Wicked poster and the invitation to the Broadway 2011–2012 Season Announcement Party. I was very excited and overjoyed to find out that I won the walk-on role in The Sparrow. I always dreamed of what it would be like to perform onstage with real actors. It was like a dream come true. I was ecstatic to meet the cast. They were all so nice and they made me feel like I was really part of the show. Watching the cast rehearse and performing with them felt so awesome. During the show, I was really nervous and I got stage fright. I had butterflies in my stomach and I kept hoping that I wouldn’t mess up. But once I walked to the stage, I didn’t feel anxious anymore. I waited for my cue, which was “And here comes the tip,” and threw the ball. I was having so much fun. I am very happy to have had the opportunity to be part of The Sparrow. It has been such an amazing and wonderful experience. As a writer and an actor, this entire experience has truly been one of a kind for me. It’s rare that the students of South Florida are allowed the opportunity to live out a real-life experience like this; and I have had an amazing time participating in The Student Reviewer Program. My English teacher, Mr. Christian Losa, introduced the idea to me of joining this competition early in March, and assured me that it would be a valuable experience that I would not want to miss out on. Following the advice given to me, I came to the Student Press Event, and as I have gone through each portion of this program, I cannot be happier with the results of it all. People see plays all the time. It’s hard not to catch on to the rich and diverse theatrical talent that we have here in South Florida. And when a group of people gather in a theater to watch these lives play out on the stage before them, every last person within that audience will have their own opinion; and it is my personal opinion that this goes especially for the youth of today, who bring bright and innovative new points-of-view on the cultural anomaly that is art. And I truly hope that the Student Reviewer Program inspires even more students all over Florida to get their words out there to the public. Especially on masterpieces, such as the visual grandeur that is The Sparrow. ‘Cause who knows? Maybe you just might end up on the Herald one day. 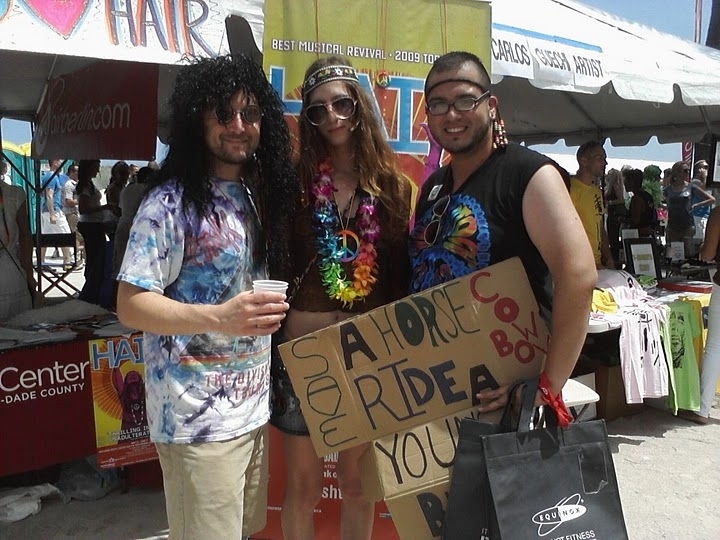 On Saturday, April 16, the Adrienne Arsht Center celebrated at the annual Miami Beach Gay Pride Parade & Festival with a float inspired by the Tony-winning musical, HAIR, coming to the Ziff Ballet Opera House May 31 – June 5. One of our lucky staff got the chance to be a part of this fun and slightly kooky experience! Here he shares with us his experience. On April 16, Miami Beach played host to the annual PRIDE event which saw thousands of people celebrating PEACE, LOVE, AND what else… FREEDOM! And what better show to capture this feeling of unity other than HAIR, which is itself a celebration of those values that the hippies held so close to their flowery wreathed hearts! Having the opportunity to be a part of the parade that preceded the day’s festivities was a thrilling and enjoyable experience. It’s not often that you get to be a part of something like this that brings so much positive energy to the city, and being there in the thick of it instilled a sense of belonging in my own flowery wreathed, hippie heart. This year’s PRIDE event is one that will remain in my memories because I was not only there to enjoy the day but to take part in making it better for all those in attendance; the ones who waved at me, the ones who shot up a peace sign in my direction hoping to catch my eye, the ones who took the time to read my homemade sign and giggle at the text. Being up in that float and on display to the crowd was a rush to say the least. I couldn’t stop waving and smiling. But the fun didn’t end with the parade. Throughout the rest of the day and into the evening I can’t count the number of times I was stopped to pose for a picture or shoot back a peace sign to a smiling face in the crowd of PROUD men and women. Thank you to those who made it possible for me to be able to have this memory to look back on fondly.